The Swedish stock market was up with 4 percent this Friday and someone asked me what happens after these extreme movements. 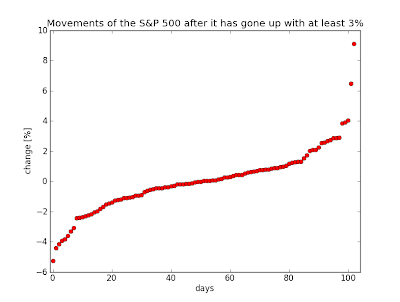 Will the stock market continue to move up or will it move down? No-one seemed to know the answer, so I thought it was a good idea to find out. 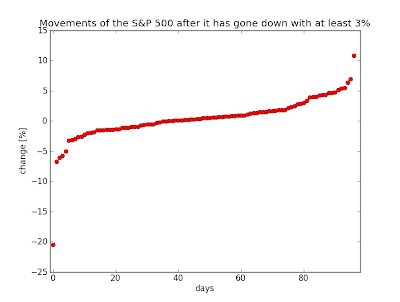 The data used is from the S&P 500 index - with data from the 1950s until this Friday (2012-06-29). We begin with the main index. Nothing strange, 3 big peaks like the Himalayas. 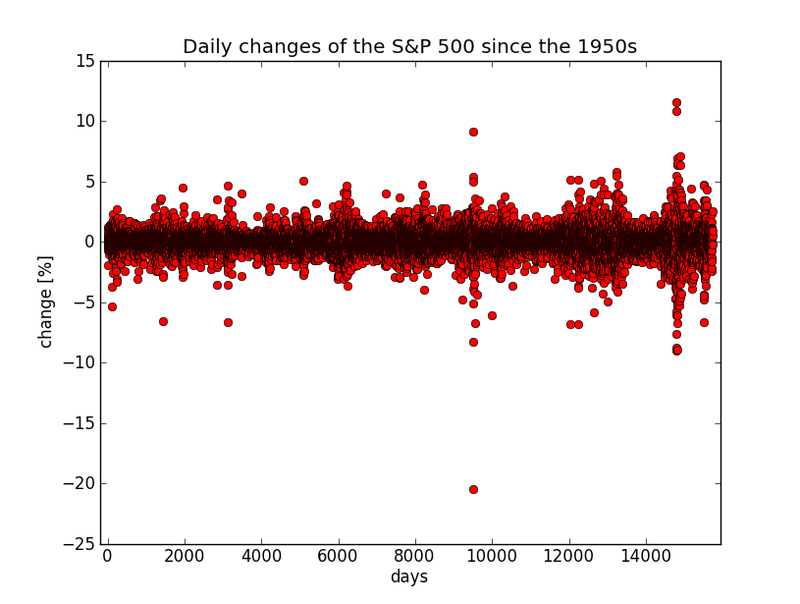 The second graph shows the daily changes since the 1950s. 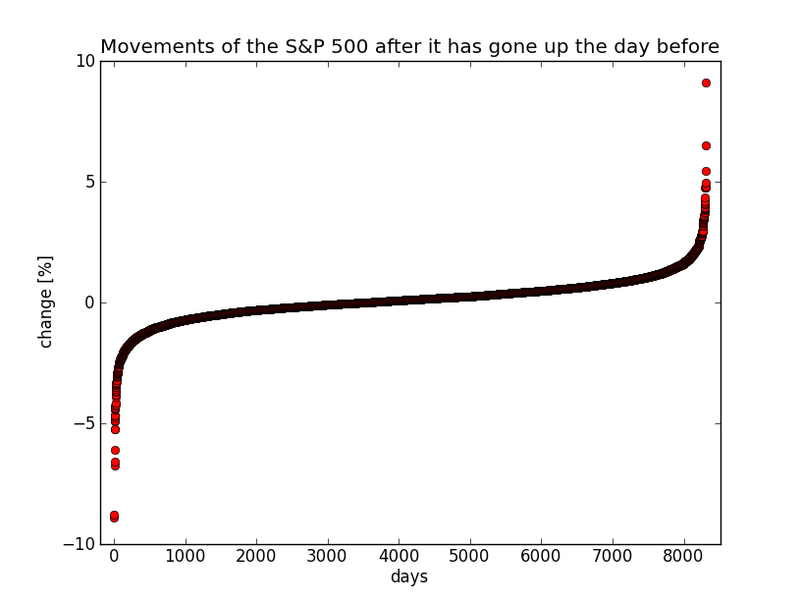 If the market moves with 2 percent - that's a daily change. 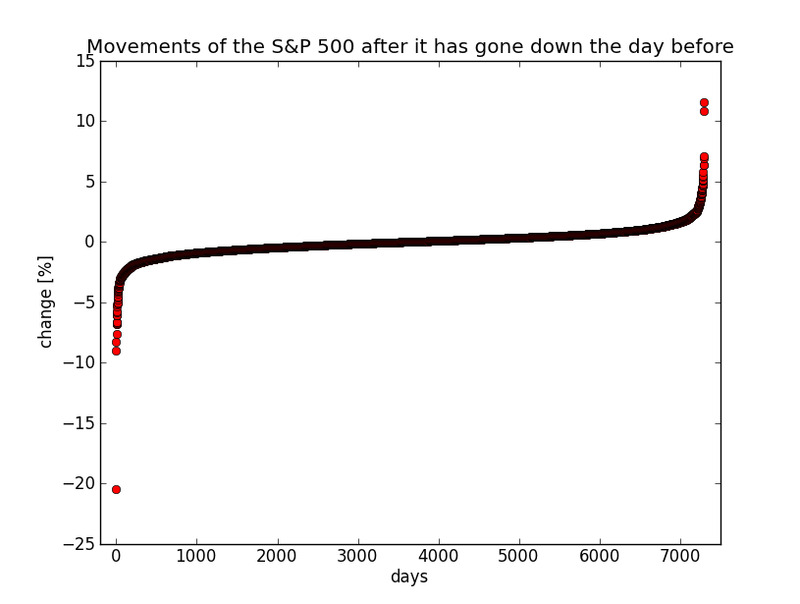 The x-axis, labeled "days", begins with 0 which is the 1950s in this case. You can clearly see that the extreme daily changes have increased since the 1950s. 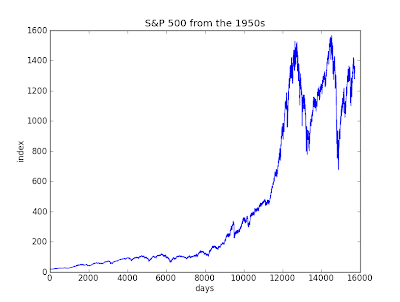 It is also possible to find "the Black Monday" in 1987, when the stock market fell with 20 percent in one day. 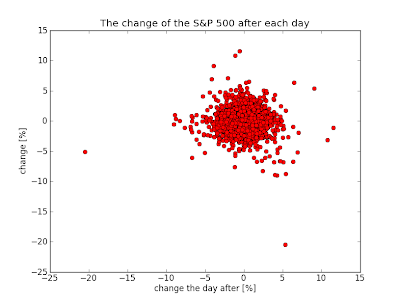 The average daily change was 0.032 percent since the long-term movements of the stock market is up. To find the answer to what happens the day after extreme movements, we need to find out what happens after each day. What happens after the stock market falls with 5 percent? Go to the graph, and just find the -5 on the y-axis, labeled change, to find out. 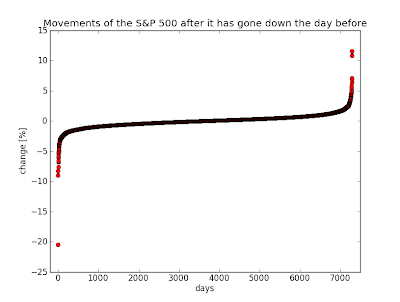 We can see that the Black Monday happened the day after the stock market fell with 5 percent. And what happened after that Monday? 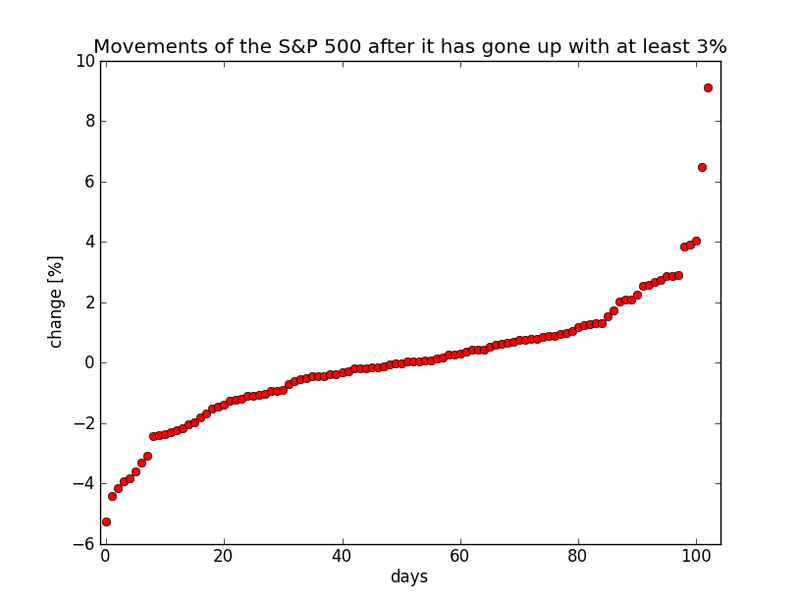 Well, the S&P 500 increased with 5 percent. What this says is that a trend continues for a while. 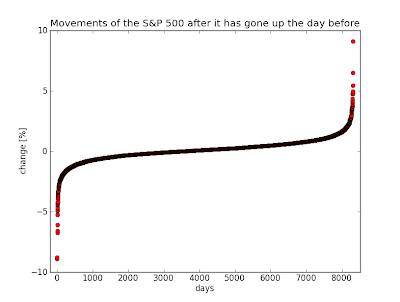 To buy when the stock market moves with extreme movements seems to be a good idea. People are positive to the stock market when it moves up and they want to buy more to not miss future gains. When it moves down, they want to buy cheap stocks. The exception to the rule was, among others, the Black Monday. 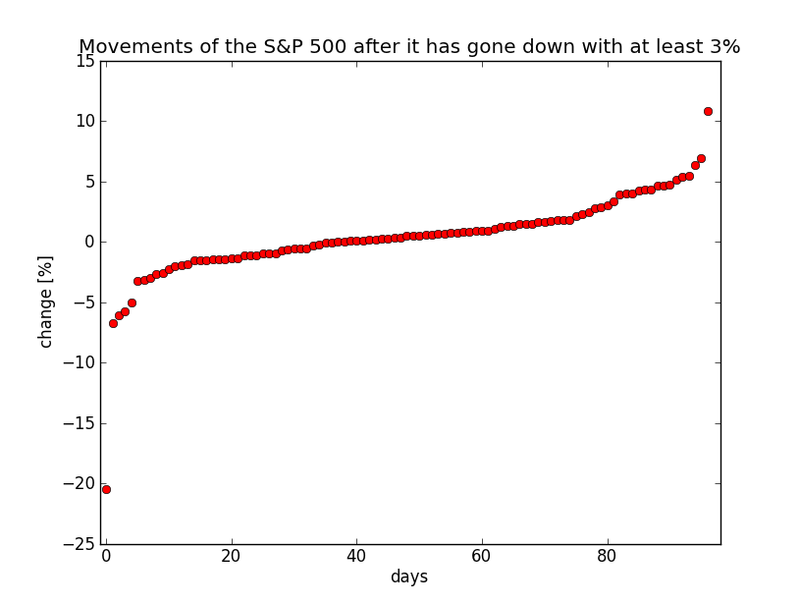 The stock market fell with 5 percent the day before and fell with 20 percent the day after. Remember that these data are not recommendations - just what has happened before. 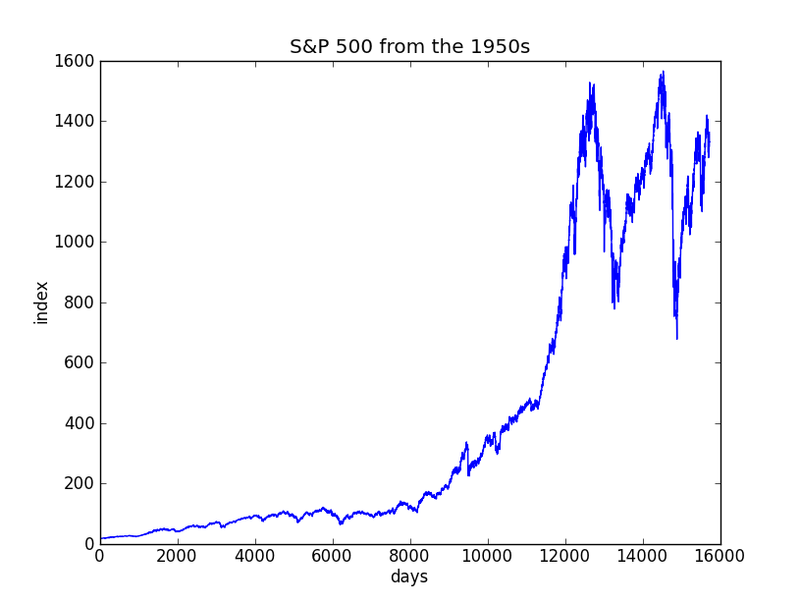 If you enjoyed this article, make sure to not miss part 2: The ups and downs of the S&P 500 since the 1950s - Part 2.